﻿ SS 5D Bend, CS 6D Bend Exporter. 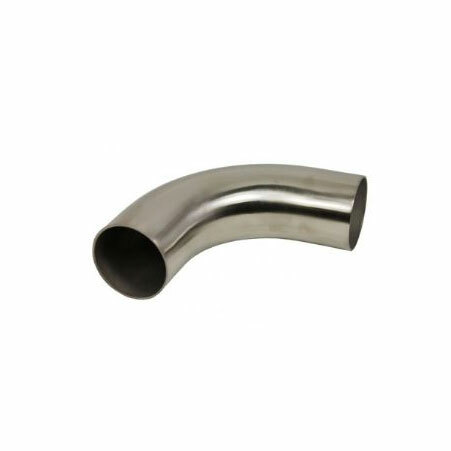 ANSI B16.28 Stainless Steel Bend Manufacturer, SS 5D Bend, Carbon Steel 6D Bend, CS 5D Bend Supplier In Worldwide. We, at Amco Metals, cultivate and nurture quality and innovation and direct them in our products through continuous efforts and quality control. We are an ISO 9001: 2015 certified company, dedicated to building and sustaining customer oriented engagements. We are a manufacturer, trader, stockist, supplier and exporter of 5D, 6D Bends that are bent to a particular angle to join pipes. 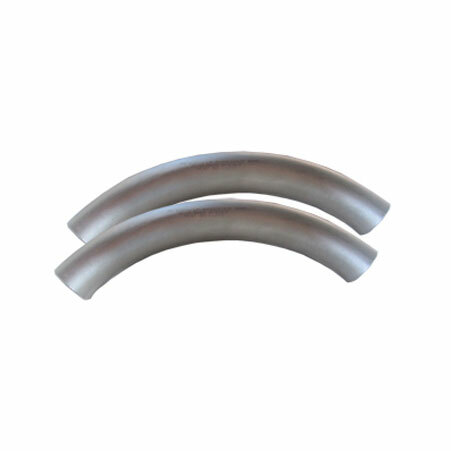 We provide 5D/6D Pipe Bends engineered through induction bending. Our SS 5D/6D Pipe Bends allow undisturbed product flow, resist unwanted turbulence due to smoother curves and are corrosion free. Our Carbon Steel 5D/6D Pipe Bends are economically viable and easy to fabricate. 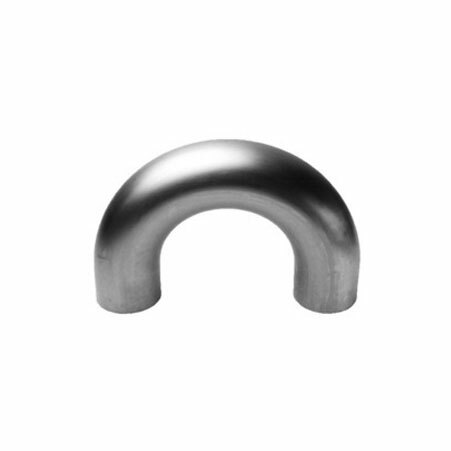 ASME / ANSI - B 16.9 Bend Manufacturer, Stainless Steel 5D Bend Exporter, SS 6D Bend, Carbon Steel 5D Bend, CS 6D Bend Supplier In India. Standards : ASTM A403 / ASME SA403, ANSI B16.9, ASME B16.25, ASME B16.28, MSS SP-43. Yemen, Austria, Qatar, Libya, India, Nigeria, Puerto Rico, Bahrain, Macau, Serbia, Netherlands, France, New Zealand, Kenya, Poland, United Kingdom, Romania, China, Hong Kong, Ecuador, Lithuania, Hungary, Algeria, Mexico, Sweden, Egypt, Czech Republic, Spain, Chile, Russia, Croatia, Australia, United States, Sri Lanka, South Africa, Estonia, Oman, Norway, Brazil, Argentina, Taiwan, Slovakia, Finland, Tibet, Angola, Lebanon, Afghanistan, Mongolia, Iraq, Peru, Iran, Gabon, Japan, Costa Rica, South Korea, Kazakhstan, Bhutan, Pakistan, Greece, Vietnam, United Arab Emirates, Canada, Colombia, Zimbabwe, Kuwait, Bolivia, Belgium, Philippines, Italy, Singapore, Trinidad & Tobago,Tunisia, Bulgaria, Germany, Namibia, Bangladesh, Ireland, Ukraine, Jordan, Indonesia, Thailand, Azerbaijan, Belarus, Saudi Arabia, Morocco, Gambia, Ghana, Switzerland, Poland, Chile, Mexico, Turkey, Iran, Nigeria, Israel, Denmark, Portugal, Nepal, Venezuela, Malaysia. New Delhi, Bangkok, Ludhiana, Chennai, Los Angeles, Santiago, Jaipur, Mumbai, Calgary, Caracas, Singapore, Houston, Jamshedpur, Hanoi, Dubai, Tehran, Vadodara, Jeddah, Courbevoie, Ahmedabad, Visakhapatnam, London, Manama, Pune, Geoje-si, Istanbul, Algiers, La Victoria, Indore, Kuala Lumpur, Abu Dhabi, Ho Chi Minh City, Muscat, Kolkata, Jakarta, Port-of-Spain, Perth, Pimpri-Chinchwad, Sharjah, Howrah, Ranchi, Vung Tau, Coimbatore, Ulsan, Baroda, Gimhae-si, Ernakulam, Kuwait City, Riyadh, Bogota, Mexico City, Hong Kong, Navi Mumbai, Bengaluru, Granada, Cairo, Noida, Doha, Al Jubail, Petaling Jaya, Milan, Rio de Janeiro, Faridabad, Gurgaon, Thiruvananthapuram, Seoul, Moscow, New York, Karachi, Melbourne, Sydney, Aberdeen, Hyderabad, Dallas, Brisbane, Montreal, Busan, Toronto, Colombo, Rajkot, Kanpur, Edmonton, Ankara, Nagpur, Dammam, Lahore, Atyrau, Surat, Ahvaz, Madrid, Al Khobar, Nashik, Lagos, Haryana, Chiyoda, Secunderabad, Bhopal, Thane, Chandigarh.